Oh, how wonderful to hear the Doctor Who Series 4 theme tune accompanied by Trevor Baxter’s voiceover! Big Finish’s license was expanded to include the 2005- 13 iteration of Doctor Who in late 2015, and this has resulted in a plethora of sterling stories – some featuring returning Time Lords (David Tennant’s and John Hurt’s boxsets, plus the Classic Doctors, New Monsters volumes), others as satellites (The Churchill Years; UNIT). Yet the Short Trips range had remained largely untouched. Until the two-part Jago and Litefoot Revival, which sees a meld of new and old as those glorious chaps from The Talons of Weng-Chiang meet the Tenth Doctor. Act One finds us at the Club for Curious Scientific Men – CCSM, for short – as Professor George Litefoot (Baxter) begins to regale his journey to the Greek island of Minos. He’s promptly interrupted by Henry Gordon Jago (Christopher Benjamin), and the pair form a two-hander as they talk about their latest meeting with the man they know as the Doctor. Short Trips titles are confined to a single narrator on the whole, but this production is elevated by having Baxter and Benjamin playing off one another. Nonetheless, it’s pleasing to hear them split up for much of the tale – as they were, lest we forget, in The Talons of Weng-Chiang. It’s a solid beginning, re-establishing the pair’s repartee in the opening scene and even giving the story its name. 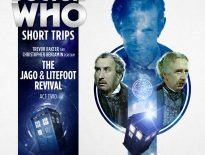 You don’t have to have heard the previous Jago and Litefoot audio adventures to enjoy this one, as long as you know they’ve met numerous incarnations of the Doctor. Baxter and Benjamin absolutely sparkle with a very humorous script, and it’s a genuine pleasure to be in their company for half an hour. 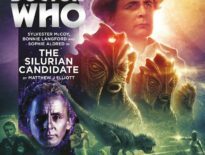 Writer, Jonathan Barnes perfectly throws us back to the 1970s (or, indeed, the late 1800s), and the Doctor’s appearance(s) wonderfully feel like the character has time-travelled from “New Who” into the Classic 1963- 89 run. Still, it feels like something of a missed opportunity that it takes 25 minutes for the Doctor to actually join Litefoot. If you’re waiting for the Time Lord to crop up, the leisurely pace can be frustrating – although the point is surely in echoing Jago and Litefoot’s sluggishness. They need something to revive them. No prizes for guessing where that plot strand is going. The problem isn’t that we spend so much time with George and Henry individually, but that much of the audience will go into it expecting a Tenth Doctor tale. This is much more intimate than that, which is just as we’ve come to expect from the Short Trips. It’s well worth the wait, however. Litefoot sees this “cheeky schoolboy”, his accent “a kind of cultured cockney”, and you can’t help but grin. Then, about 28 minutes in, there’s the most brilliant surprise (which we won’t spoil here, but we’ll have to talk about come Act Two). The Jago and Litefoot Revival: Act One isn’t perfect, but it’s nonetheless something to cherish. Mark my words: this is set to be one of the best stories of the already-strong Short Trips range. 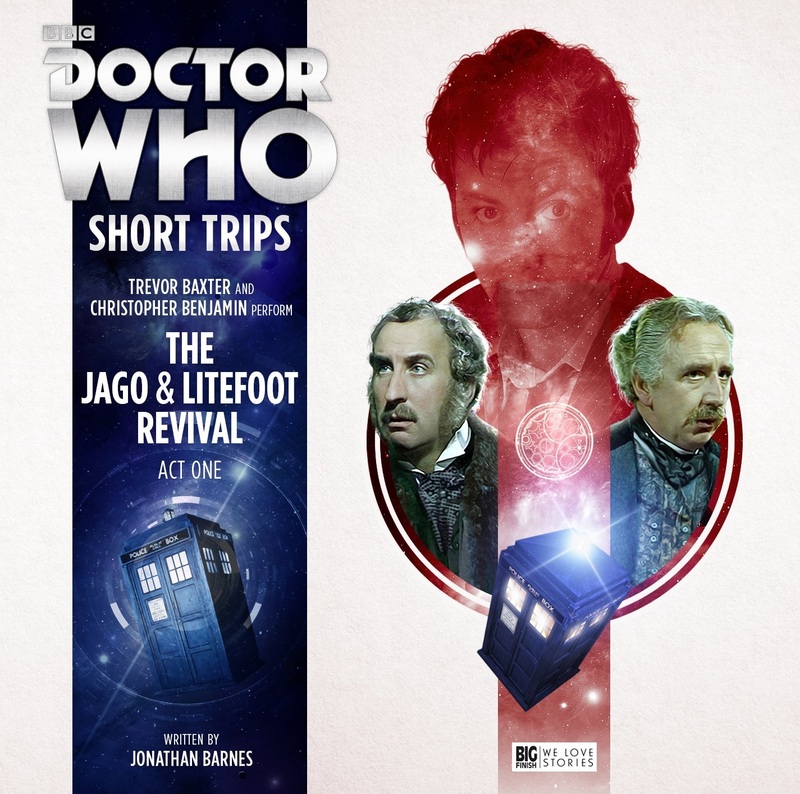 The Jago and Litefoot Revival: Act One is available as a download-only release from Big Finish now. ← Read DWAS’ Celestial Toyroom Annual 2018 Completely Free!